Increase brand awareness and gain new customers in Kitsap, Clallam and Jefferson counties with Valpak of Western Washington West. We can help you get into as many as 120,000 carefully qualified households through direct mail and digital advertising. Joining The Blue Envelope® of coupons allies your business with a leading name in shared direct mail marketing. Talk to your Western Washington West team about reaching the neighborhoods of your choice through direct marketing products such as inserts, circulars, flyers, unique imprinting and solo direct mail. Track the ROI of your advertising spend with greater accuracy using our consumer response tools. Call tracking and performance tracking can monitor just customer calls, or calls and online responses, to your printed piece. It provides solid proof of performance and offers you valuable demographic information about your responses. Valpak of Western Washington West works with nearly all types of businesses in the area: restaurants, shops, automotive, home and office, entertainment and travel, health and medical and all professional, general and personal services. Call today and get the exposure you deserve to the consumers you want in Bremerton, Port Orchard, Port Angeles, Sequim, Poulsbo, Silverdale, Bainbridge Island and other cities in the area. For specific dates and coverage, contact your Valpak of Western Washington West representative. 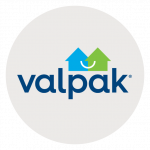 Valpak of Western Washington West is an independently owned Valpak franchise.